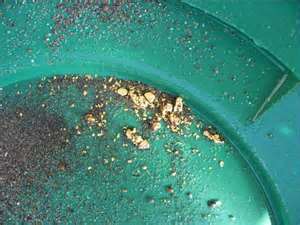 Proper sampling techniques can substantially enhance your ability to get more gold. Most experts recommend a three-phase sampling "plan of attack" and here's Phase I. Before you even begin your sampling operations (large or small), you should have well-defined goals and objectives in mind. In other words, you should be absolutely certain what information you're looking for before you begin any sampling work. It's a common misconception in mining circles that sampling is only used for determining the average gold values per cubic yard or per ton of material. Granted, this is the main thrust of most sampling efforts, but it's certainly not the only one. 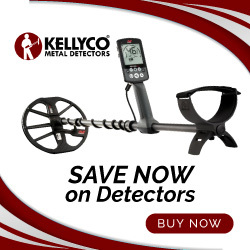 Detecting or determining the presence of other minerals or precious metals. Concentration levels of gold and other minerals/metals. The economic viability of working the sampled area for any or all minerals/metals. As you can see, additional info like this can open the door to other possibilities for you and your mining operations, whether those operations are individual, small-scale, or commercially oriented. As I've said in the past here in "Bedrock Dreams," the more knowledge you have about the gold location you plan to work, the better off you'll be in terms potential success. On the other end of the spectrum, the sorts of sampling information described above can also save you lots of time, pain, misery, grief, and money if the area sampled turns out to be a gold mining "dead end." Essentially, sampling becomes what the buzz-word talking heads call a "win-win" situation. What's my favorite phrase again? Sample, sample, sample! Just make sure you lay out some sort of sampling plan first. Inevitably, logic...not luck...separates the men from the boys and the girls from the women when it comes to all things mining. Remember that. If you liked this post, you may want to read: "Gold Mining Questions and Answers: Part 19"
Gary, you have to tailor sampling to your level of effort. If it's just you...a series of test pans from holes dug or material recovered by hand. If you're in a commercial operation (most of us are not) then you opt for drilling, trenching, test pits, etc. That is the next Phase in sampling so I'm jumping the gun a bit on the next post here. Best, J.R.
Ok, The reason I ask, is a friend of mine and I got into a little arguement last year over this. He said there was no point in taking the sluice untill we sampled first. I told him I agreed, but I was just taking larger samples using the sluice. I wasn't set up in any one spot for long, but I was going through more gravel quicker than with a pan alone. He told me I wasn't doing it right and wasteing my time, but I had more gold in my jar than he did at the end of the day. I guess we were both right, just different ideas of the same thing. Yes, you guys were both right. Sampling can be done on a large, moderate, or small scale. For example, you can sample with a pan or auger, even a suction dredge. The idea is NOT to start running large volumes of material before you have a clear idea of what to expect. Best, J.R.
J.R., Thanks for the info. I know this is one in a continuing series.....but I wanted to know.....are the holes in the picture deep...so you can look for "pay layers"? Look for bedrock? Look for the stream gravel depth? All of the above? Could you do this with a post hole digger....with much success? Just curious. 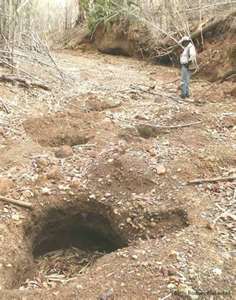 What about good miner etiquette.....filling your sampling holes before moving on to other areas of the suspected stream bed. Thanks again for all J.R.!! John, I'm going to hold off in answering your questions here and save them for my next post, OK? I don't want to race ahead too far, so please bear with me. Thanks! J.R.